Dell the popular laptop electronics manufacturing came up with a awesome laptop with speciality of Wireless charging isn't it interesting to hear for the first time yes this laptop is going to be the the First ever Wireless Charging Laptop From Dell.And the name of this wireless charging laptop is Dell Latitude 7285 (first wireless charging laptop). one more very interesting point about this laptop is user can use this laptop as 2 in 1(you can use it as a tab or a laptop)if you separate monitor it becomes a tab.And How many read about Microsoft Surface Pro 4? 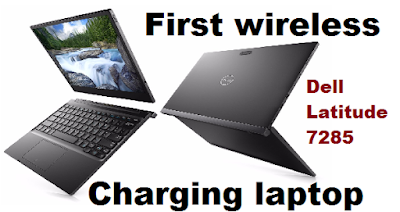 What about the Price of Dell Latitude 7285?